1) Heat oven to 180C/fan with a bowl of hot water at the bottom. 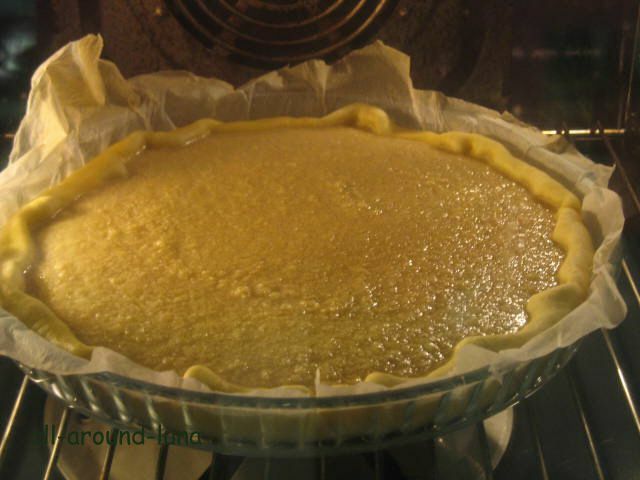 Use a +/- 25cm glass or silicon baking pan - I use glass with parchment paper. Roll out the pastry in it. Should you use the split vanilla bean instead, then leave it to infuse. Then remove the bean after scraping the inside. 3) Add the desiccated coconut to the mixture and stir it. Then add the beaten eggs and stir. Then add the rum and stir. Pour everything on the pastry and bake for 20/25 min till the pastry is golden. It might inflate from the center, just don’t pay attention. Tip : Fantastic if you drizzle with melted dark chocolate and add a scoop of vanilla icecream.